My sample stash has been growing again recently as I've been ticking off brands from my beauty bucket list. It's been nearly two years since I started my sample stash series to share my first impressions and it's helped me discover some of my favourite products! I still think it's a great way to see if you like something before committing to a full size purchase, so I always have a few samples lying around. The latest samples I've been testing from Therapi Honey Skincare have lasted me nearly 2 weeks, so I've been able to get a fairly decent idea of how the products perform. The Purifying Lemon Myrtle range is targeted for oily/combination skin. Although my skin generally veers more on the normal side of things, I find that products targeted for combination skin often work well for me to help keep the balance. Since I'm such a huge fan on balm/oil-based cleansing, the Lemon Myrtle Honey Gel Cleanser isn't something I would usually choose. I don't really have much to say about this one, but I think it's really nice for a gentle morning cleanse with a konjac sponge and it's been leaving my skin feeling refreshed and balanced. I've been absolutely loving the Lemon Myrtle Honey Moisturiser as my daytime moisturiser. After months of only using oils/serums, I've enjoyed using a cream again! This moisturiser has a perfectly smooth texture and absorbs into the skin almost instantly. It leaves my skin feeling so velvety soft with a matte finish, so it makes for a fantastic makeup primer. I've also noticed my complexion has stayed clear thanks to the purifying and antibacterial ingredients. Even without the skincare properties, I would happily be using this moisturiser as a makeup primer! I'm sure you can tell I've been impressed so the full size is going straight on my shopping list! 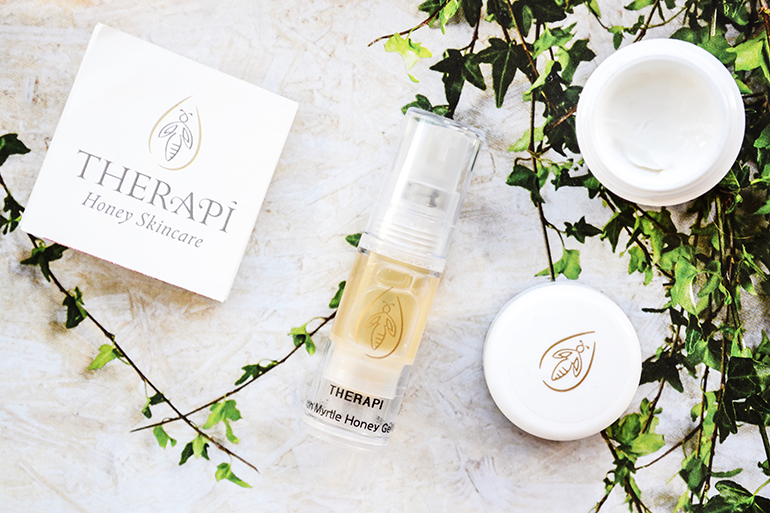 Have you tried Therapi Honey Skincare before? The gel cleanser isn't my fave but I do like using it with a konjac sponge too. I like the Lemon Myrtle toner but the Orange Blossom moisturiser is my favourite as a night cream! I'd love to try this brand's lovely products, especially the Lemon Myrtle Honey Moisturiser as a makeup primer. Ah they really are lovely products :) They've made a great first impression! Ooh I want to test out the Orange Blossom range too :) Great to hear you like them Jana! I haven't heard of Therapi Honey Skincare before but as I have a combination skin I would be interested to try their Lemon Myrtle range. They seem like a good brand although their prices are a bit steep but I guess this is what you expect in a good quality organic skincare.. The Lemon Myrtle range would be perfect for your skin type :) Always worth trying out samples beforehand to see if you can justify the price. They're great quality ingredients!